Since last year’s update appeared in the May 2012 issue of Maritime Reporter & Engineering News, Iran has continued to dominate U.S. sanctions headlines. 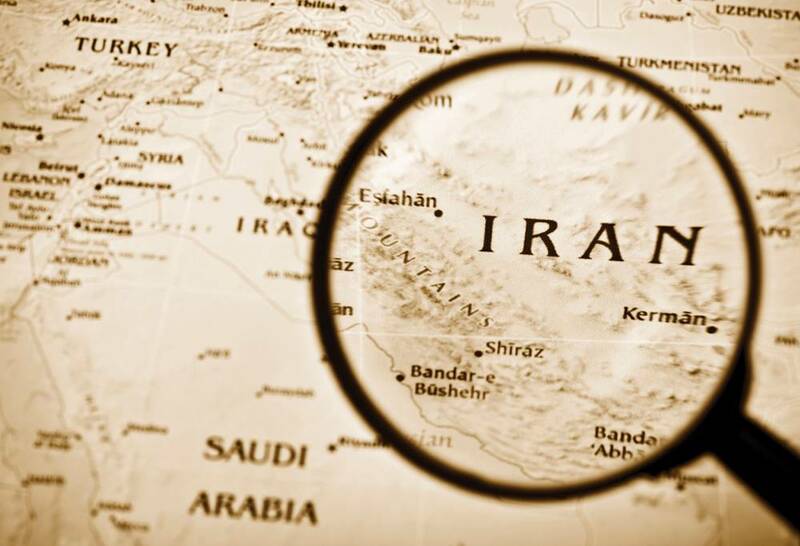 Significant actions by both the U.S. Congress and Department of the Treasury’s Office of Foreign Assets Control (OFAC) over the past year have increased sanctions against Iran substantially, and further initiatives are pending. Our 2013 update concentrates on these key developments, with particular focus on Iran sanctions of interest to the maritime community. The most sweeping legislative development during the past year was the August 10, 2012 enactment of the Iran Threat Reduction and Syria Human Rights Act of 2012 (the ITRA), which included amendments to the Iran Sanctions Act of 1996 (the ISA), the Comprehensive Iran Sanctions, Accountability and Divestment Act of 2010 (CISADA), and the National Defense Authorization Act For Fiscal Year 2012 (the NDAA 2012). participation in certain joint ventures relating to the mining, production or transportation of uranium. Several of these provisions, together with a broader definition of the term “services” used throughout the ISA, have a significant impact on the maritime industry. 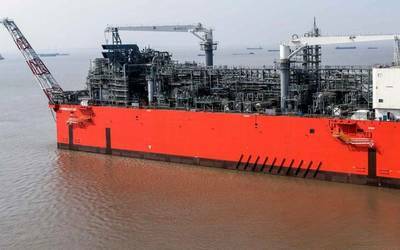 In March of this year, the U.S. Department of State acted to impose sanctions against a Greek national and shipping company for concealing the Iranian origin of crude oil – one of the new heads of sanctionable activity. At the same time, two insurance companies were sanctioned under the ISA for providing insurance or reinsurance to the National Iranian Tanker Company (NITC). Other provisions of the ITRA, including amendments to CISADA and the NDAA 2012, imposed additional sanctions targeting Iran’s petroleum, shipping, insurance and financial sectors. subject to exceptions for transactions involving food, agricultural commodities, medicine, medical devices and humanitarian assistance and persons exercising due diligence, ISA sanctions also will be required against persons providing underwriting services or insurance or reinsurance for sanctioned persons and activities. In addition, the NDAA 2013 provides for sanctions against financial institutions that conduct or facilitate financial transactions related to sanctionable activities. Other provisions of the NDAA 2013 designate port operators and entities in the energy, shipping, and shipbuilding sectors of Iran as entities of proliferation concern and require blocking of the assets of such entities and placing them off-limits to transactions with U.S. persons effective as of July 1, 2013. These Congressional initiatives led to the amendment and restatement of both the Iranian Financial Sanctions Regulations (IFSR) and the Iranian Transactions Regulations (now the Iranian Transactions and Sanctions Regulations, or ITSR). The Administration also issued five Executive Orders targeting Iran in 2012. Two of these targeted human rights abusers and foreign sanctions evaders, respectively, while the other three primarily implemented new statutory provisions. In addition, OFAC continued to add Iranian and Iranian-related parties to the Specially Designated Nationals and Blocked Persons List (SDN List) of individuals, entities, vessels and aircraft that are “off-limits” to U.S. persons. As noted above, the U.S. Department of State also meted out additional sanctions under the ISA. However, as a result of the removal of sanctions against three companies determined to have provided reliable assurances that they will not knowingly engage in sanctionable activity in the future, the list of persons remaining subject to ISA sanctions now stands at fifteen (fourteen companies and one individual). Challenges in the coming year will include reconciliation of the general licenses contained in the ITSR designed to facilitate agricultural, medical and humanitarian trade with the mandate under the NDAA 2013 to block the property of and prohibit transactions by U.S. persons with all Iranian port operators and entities in the shipping sector of Iran. Implementation of the NDAA 2013 will substantially increase obstacles to delivery of and receipt of payment for legitimate trade with Iran by both U.S. and foreign companies unless Congress or the Administration take steps prior to the July 1 to ameliorate the impact of the new NDAA 2013 sanctions on such trade. While the primary target of the ITRA and the NDAA 2013 was foreign involvement in various significant sectors of Iran’s economy, two key provisions of ITRA – Sections 218 and 219 – and related provisions of the ITSR will have a significant impact on U.S. corporations whose subsidiaries engage in trade with Iran. First, foreign entities owned or controlled by U.S. persons now are prohibited from knowingly engaging in any transaction directly or indirectly with the Government of Iran or any person subject to the jurisdiction of the Government of Iran that would be prohibited if the transaction were engaged in by a U.S. person or in the United States. However, Section 218 of ITRA and Section 560.701 of the ITSR provide for imposition of penalties on the U.S. person who owns or controls the offending foreign entity, rather than against the foreign entity. Section 219 of ITRA amended the Securities Exchange Act of 1934 to compel issuers required to file reports with the Securities and Exchange Commission (SEC) to disclose and provide detailed information regarding certain activities of the issuer or its affiliates that are sanctionable under the ISA or certain provisions of CISADA or involve blocked persons or the Government of Iran. Such notices are to be transmitted to the President and certain congressional committees, and the President must undertake an investigation and determine within 180 days whether sanctions should be imposed under the ISA, CISADA, or any other applicable U.S. laws relating to sanctions with respect to Iran. However, Guidance issued on December 4, 2012 by the SEC makes it clear that disclosure of lawful activities under OFAC general or specific licenses is not required. These requirements will apply to both U.S. and foreign issuers, and will serve to draw the attention of investors and regulators alike to companies continuing to do business with Iran. More recently, OFAC has focused on Iran’s use of exchange houses and trading companies to evade sanctions against Iran. Guidance issued on January 10 urges U.S. persons to exercise enhanced due diligence in connection with transactions with such exchange houses and trading companies, and two such entities were added to the SDN List on May 15. Eager to maintain the anti-proliferation momentum, Congress currently is considering proposed legislation that would, among other things, impose sanctions similar to those enacted under the NDAA 2012 against foreign persons who engage in certain financial transactions related to purchase of petroleum or petroleum products from Iran. If passed, the proposed legislation would require sanctions to be imposed against foreign persons who engage in certain financial transactions related to the purchase, directly or indirectly, of any goods or services by or from a person in Iran, subject to exceptions for transactions related to sales of agricultural commodities, food, medicine and medical devices to Iran or involving countries that have significantly reduced their trade with Iran. Over the past year, OFAC also took action on several other fronts, including imposing further sanctions against Syria and persons threatening the peace and stability of Yemen and making numerous additions to the SDN List under various sanctions programs, while gradually easing sanctions against Myanmar (Burma). A comprehensive discussion of all recent changes in U.S. and international economic sanctions is beyond the scope of this article, but readers are cautioned to consider all potentially applicable sanctions laws and regulations before proceeding with international transactions. Barbara D. Linney is a member of the Washington, D.C. firm Miller & Chevalier Chartered, practicing in the area of international trade and transactions. Kevin J. Miller is an International Trade Specialist at Miller & Chevalier. *This article reflects developments through May 15, 2013, the date of submission for publication. The views expressed herein are those of the authors, do not necessarily reflect the opinion of the firm or other members of the firm, and should not be construed as legal advice or opinion or a substitute for the advice of counsel. Please contact Barbara Linney (BLinney@milchev.com) at (202) 626-5806 if you have questions or desire assistance.